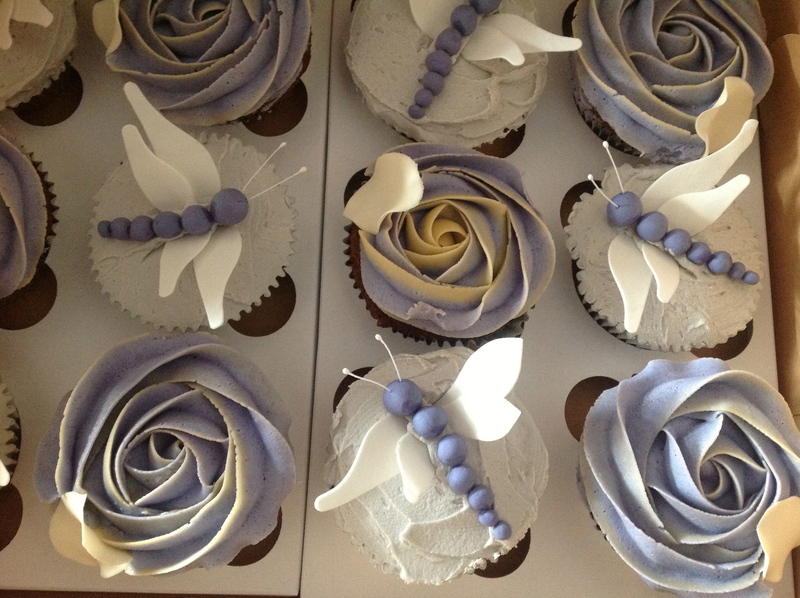 A friend had her cousins birthday recently and here are the lavender cupcakes I made her. The lavender cupcake recipe will follow later, the real reason is to share how easy it is to make these rose buttercream iced cupcakes. You simply need the following nozzle, nozzle number 2D (or the equivalent smaller) for your piping bag. Here’s a picture to know exactly what the nozzle looks like…. 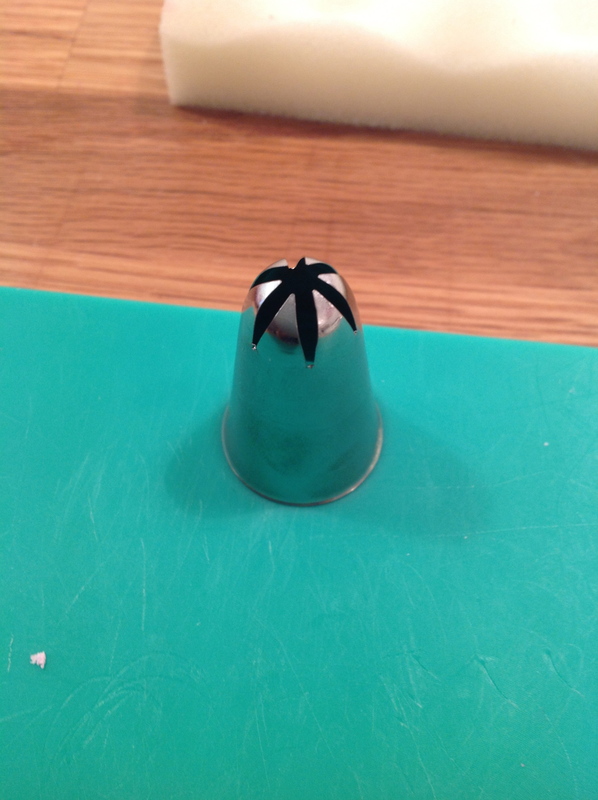 Now fill the bag with icing, start piping the centre of the cupcake from upright, and then swirl around at a slight angle going around and around, until flower is done. That’s it. Seriously, no more difficult than that! And to make it two toned in colour, you simply put one colour in the icing bag, squeeze out, so only a slight amount is covering the surface of the overall bag and then in the centre of the piping bag, place the other colour buttercream icing. And that’s it! You now pipe two colors. 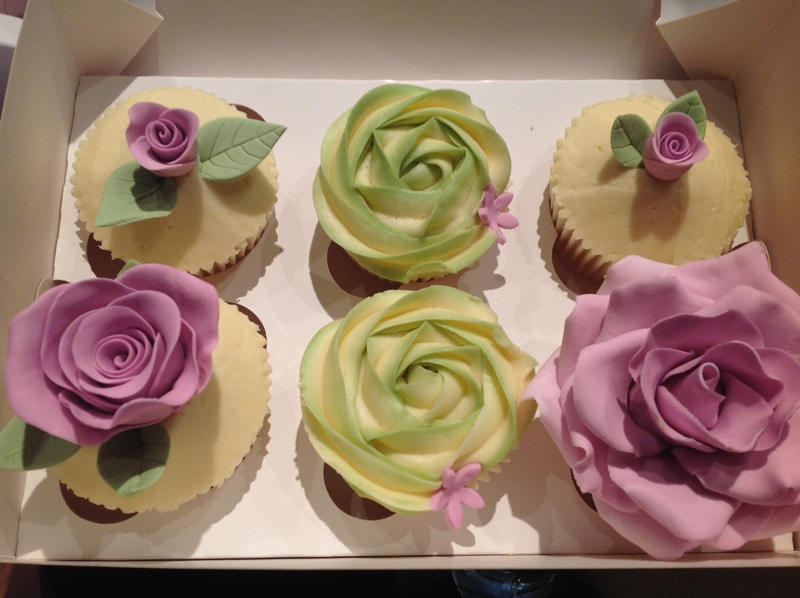 And to make the baby roses, as seen below, simply take sugar paste, colour to what your preference is, and follow the way I made the marzipan roses in the marzipan almond cupcake directions. Again, so simple. The fuller roses, take more work, and there are many sites that can show you how to make wonderful sugar paste roses! This entry was posted in Baking as easy as 1..2..3, Icing for idiots and tagged buttercream, buttercream icing, piping, roses by angelb38. Bookmark the permalink.